Cheese has a way of reconnecting me to my original home of Europe. Every time I sample some European cheese my mind is taken back to the lands and regions I spent my childhood through young adulthood. Whether it’s Hirtenkäse that reminds of Germany, Red Leicester or a the best Cheddar on the planet that reminds of my years in England, or brie that is accompanied by memories of getting in the car and driving an hour across the French border from Germany to shop at French groceries stores to stock up on cheese. And that’s what food is largely about for me. It either connects or reconnects me with places I know and love or places I’ve never been but long to experience. 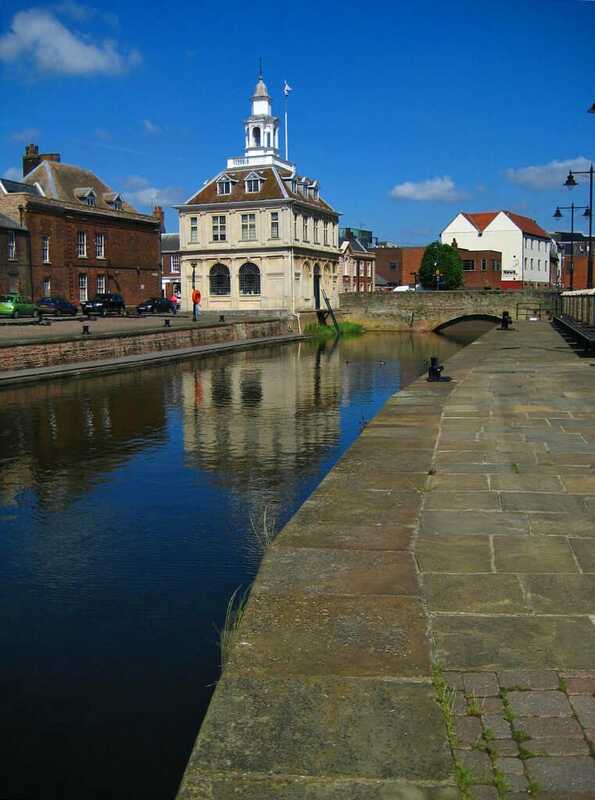 Brie holds many associations for me, the most meaningful of which is time spent with my mom in King’s Lynn, England. We lived less than an hour south of King’s Lynn for a number of years and it was a favorite spot for my mom and I to go shopping. 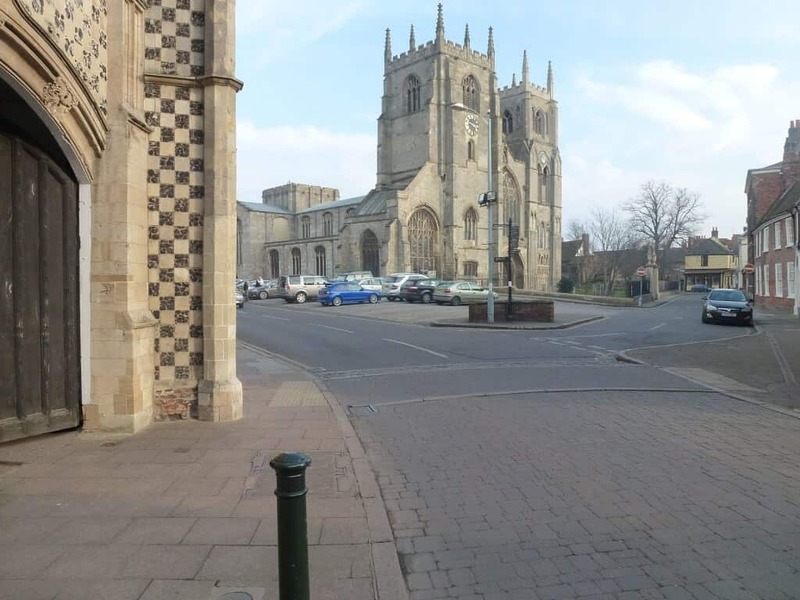 You know I can’t discuss a place that’s sentimental to me without providing some pictures and background information, so let me first introduce you to King’s Lynn and then I’ll tell you what it has to do with brie. 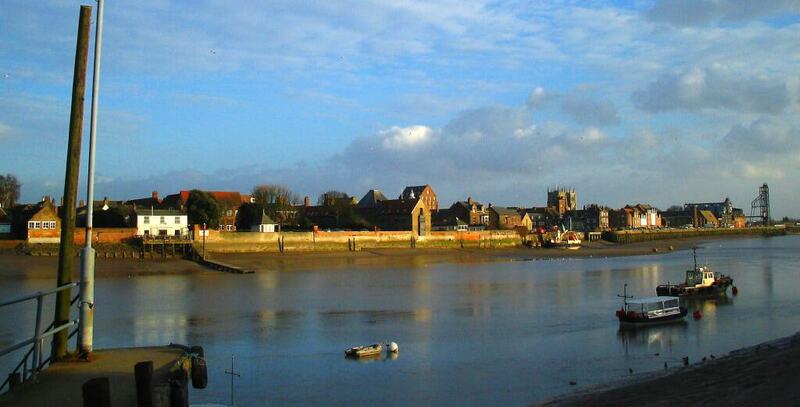 King’s Lynn is a sea port located 97 miles north of London, 44 miles west of Norwich and is in the county of Norfolk. 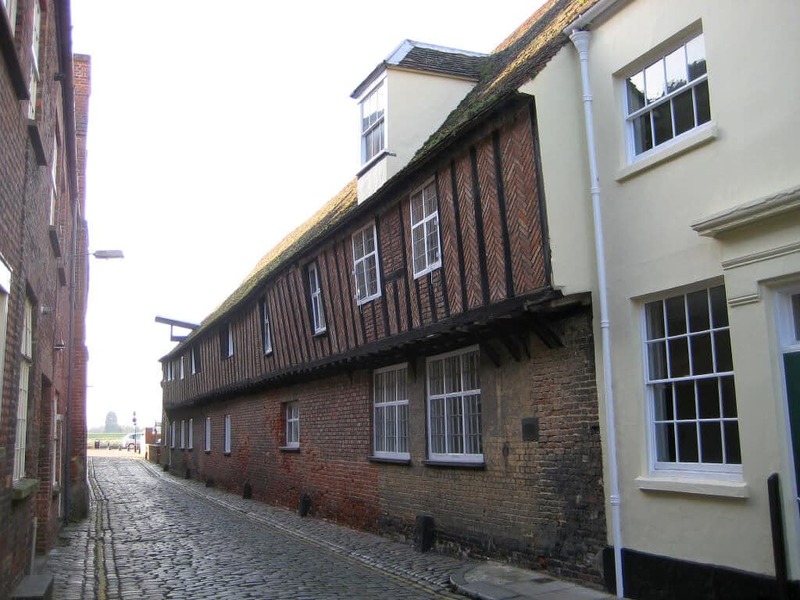 King’s Lynn has a wealth of history and historic buildings dating back as far as the 14th century. Let me show you around town. My mom and I went there on average about once a month. We enjoyed going to King’s Lynn for the atmosphere, the shopping and because it was home to our favorite sandwich: The French Connection. This is the parking lot by St. Margaret’s Church where we often parked to head into the shopping center of town. Another place we often parked was along the river. From our car we would walk through the cobblestoned alleyway. There was an old building like this Hanseatic Warehouse that was an antique shop we’d usually stop in for a browse. Within just a block we were in the middle of this historic city’s modern shopping center. I’m sure a lot has changed since I was last there over ten years ago. A couple of my favorite places to shop were the used bookstores and Laura Ashley, which has since closed down. Burton Menswear, featuring fashionable suits and shoes, several steps ahead of the American designs, was a favorite stop for my brother. And we rarely left King’s Lynn without a stop at Baker’s Oven for a couple of their custard-filled donuts. But one thing that was most traditional of all for our King’s Lynn excursions was stopping at their “bap” shop (that’s what the Brit’s call bread rolls) for a particular sandwich: The French Connection. I have no idea if this tiny sandwich shop is still in existence, but they offered a nice selection of filled baps. But the one my mom and I always got was this French-inspired delight that was slathered down with a generous amount of fresh garlic butter, mayonnaise, and then layered with crispy cucumber, onions, and a generous amount of brie. The sandwiches were large enough that we usually split one and were left with just enough room to get those custard-filled donuts at Bakers Oven. The French Connection is sentimental and special to me. It’s a cherished tradition that represents many good times together with my mom during our years in beautiful England. And today I’m going to share them with you! Castello’s world-class European-imported cheese has reconnected me to my home on many occasions, including this one. I was able to try some of their fabulous blue-veined brie and of course it immediately made me think of those wonderful sandwiches in King’s Lynn. I thought if there was one way to improve upon the French Connection it would be to use a brie that has some glorious blue cheese veins running through it. So today I’m sharing the recipe for the French Connection and I’m doubling up this time – I’m going to show you how to make it TWO ways: The traditional way and in hors d’oeuvres form, which is absolutely fabulous. I promise your guests will love them! 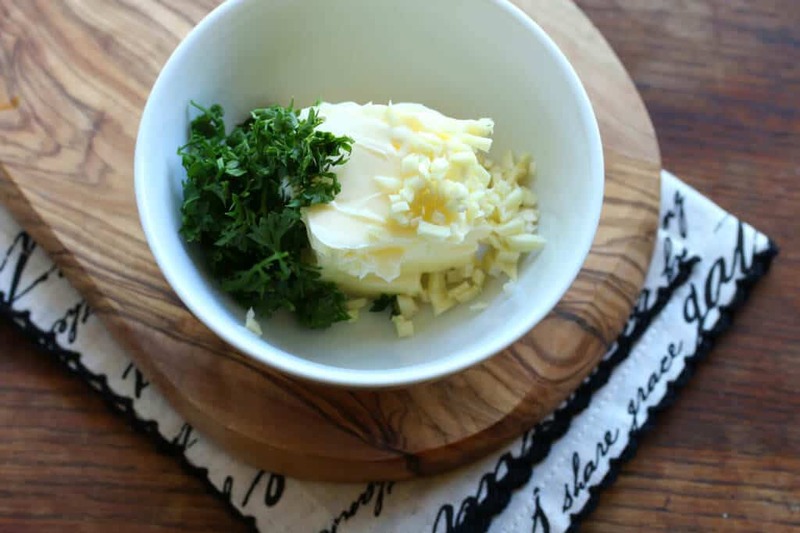 Combine the butter with the garlic, parsley and dash of salt. Set aside until ready to use. This can be made well in advance and then set out at room temperature before using so it’s spreadable. 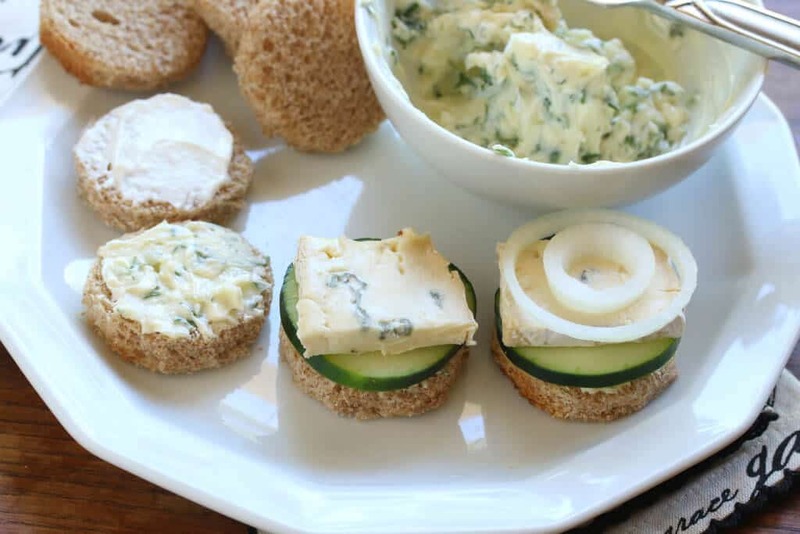 Slice the cheese into full strips for the sandwiches and smaller squares for the hors d’oeuvres. 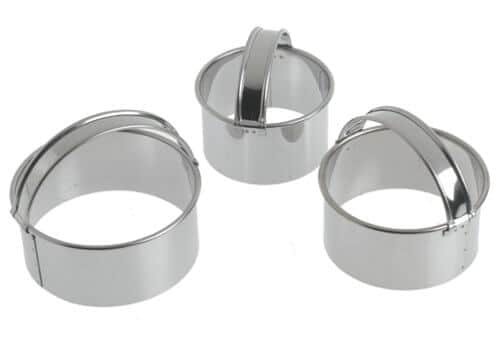 Whether making hors d’oeuvres or a regular sandwich, generously spread the bottom halves of the bread with garlic butter and the top halves with mayonnaise. 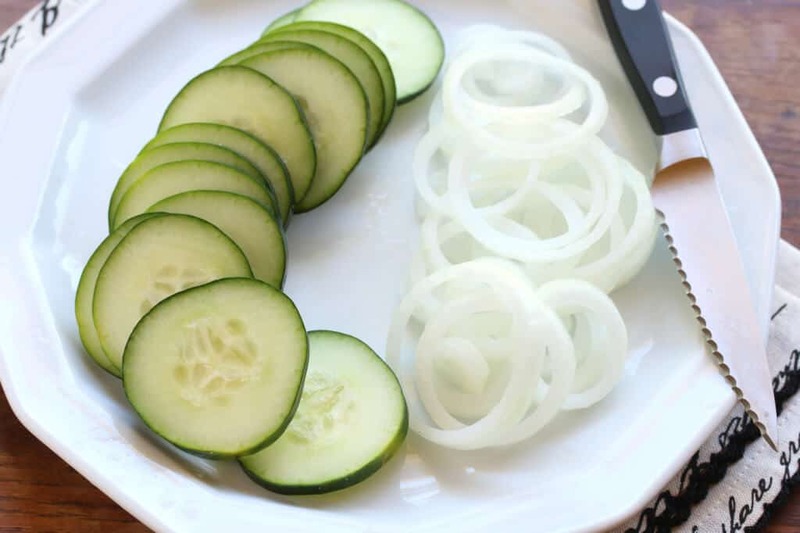 Place the sliced cucumber on the bottom followed by the brie and onion then place the slice spread with mayonnaise on top. WARNING: You will reek to high heaven after eating these! So do the polite thing and give your family, friends, neighbors and associates fair warning. 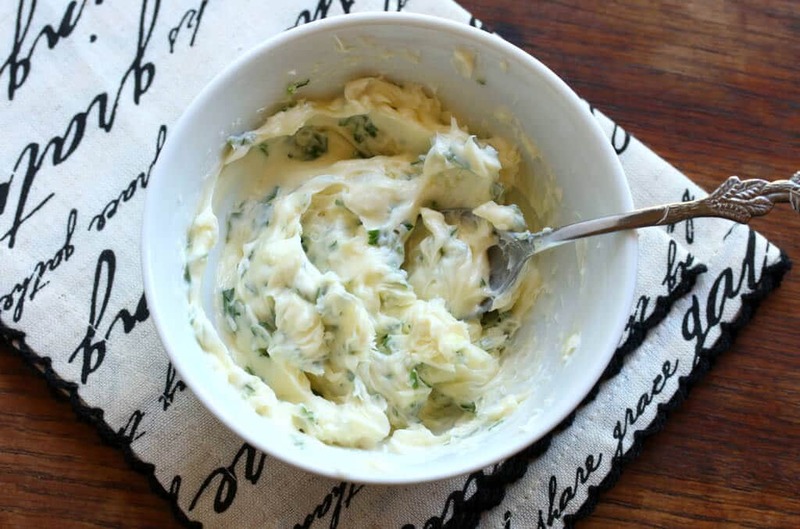 Combine the ingredients for the garlic butter and set aside until ready to use. If storing it in the fridge, let is soften at room temperature before using it. Spread the bottom half of each roll with a generous amount of garlic butter and top halves with mayonnaise. 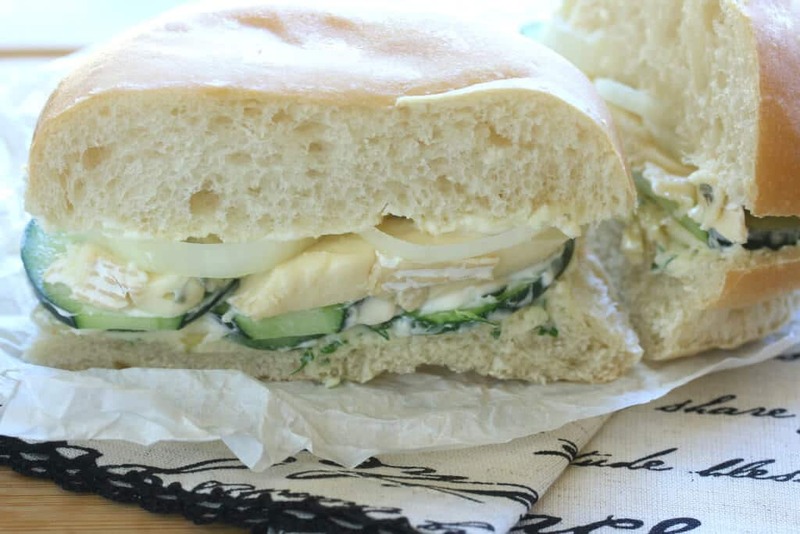 Layer the sandwiches with cucumber, brie and onion and place the top half of the sandwich on top. 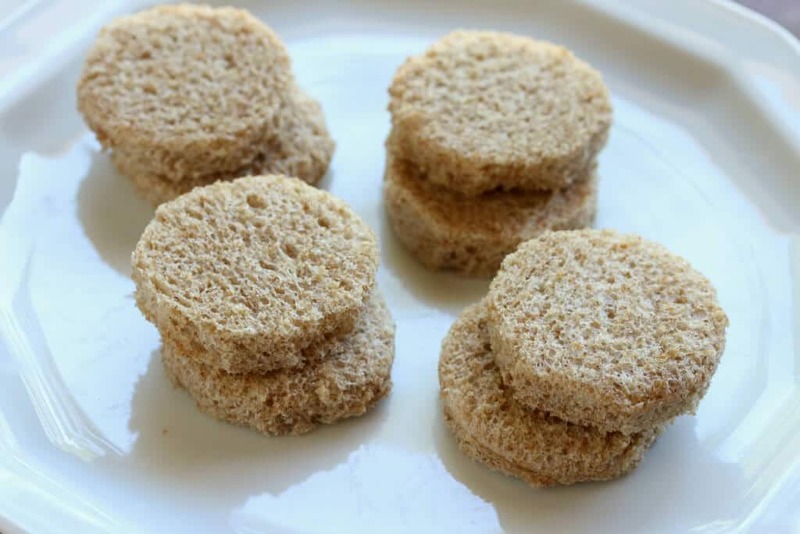 If making hors d'oeuvres with the sandwich rounds, use on slice of cucumber and you can secure the sandwiches by sticking a toothpick down the center. Oh, I love this! I really love how you tied in something personal and sentimental to this recipe, it makes me want to try it all the more! 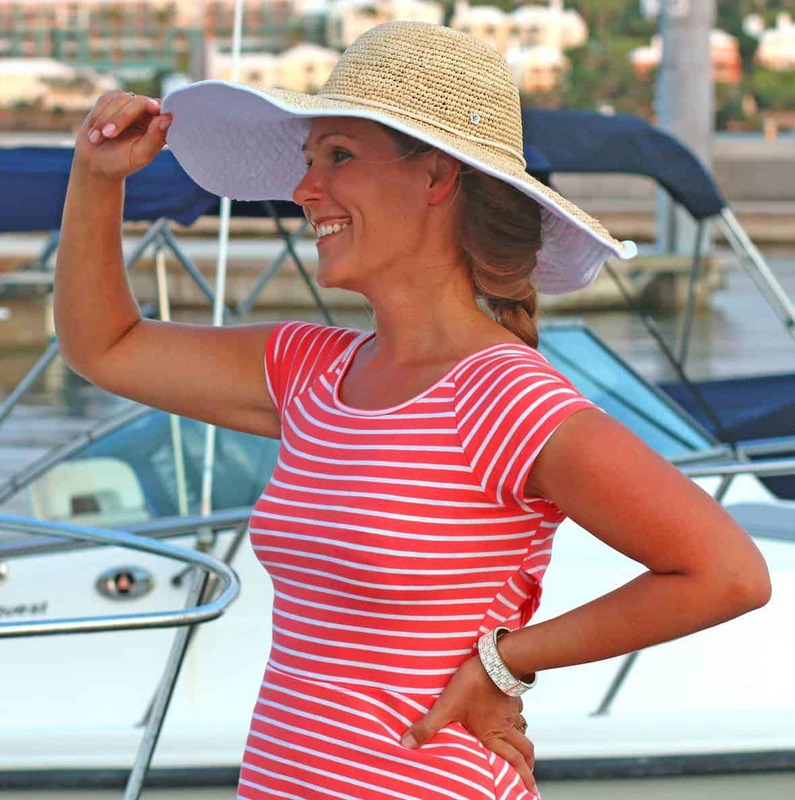 Love all the pics of King’s Lynn and you and your mother are two such beautiful women! I want to take a big huge bite of that sandwich right now! My goodness, it looks delicious! Lovely post and recipe as always. Thanks for sharing a piece of England with us. Thanks, Sandra, they really are scrumptious! What a fabulous sandwich (both)! It’s just my sort of thing – the cheese looks amazing. Gorgeous pictures of England, too! Very nice! Thanks, Patricia! 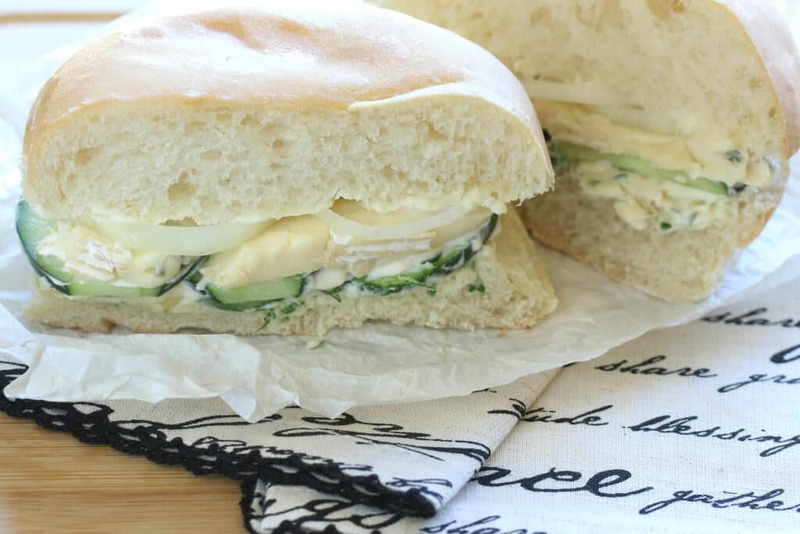 Even though I’m an omnivore and this sandwich is vegetarian, it’s one of my all-time favorites. And yes, Castello’s blue-veined brie is amazing! Delicious sandwiches and now I have an additional place to make sure I see when I travel to England. For sure, Michelle! Visiting England is always so frustrating because there are just way too many fabulous places to see in one trip! 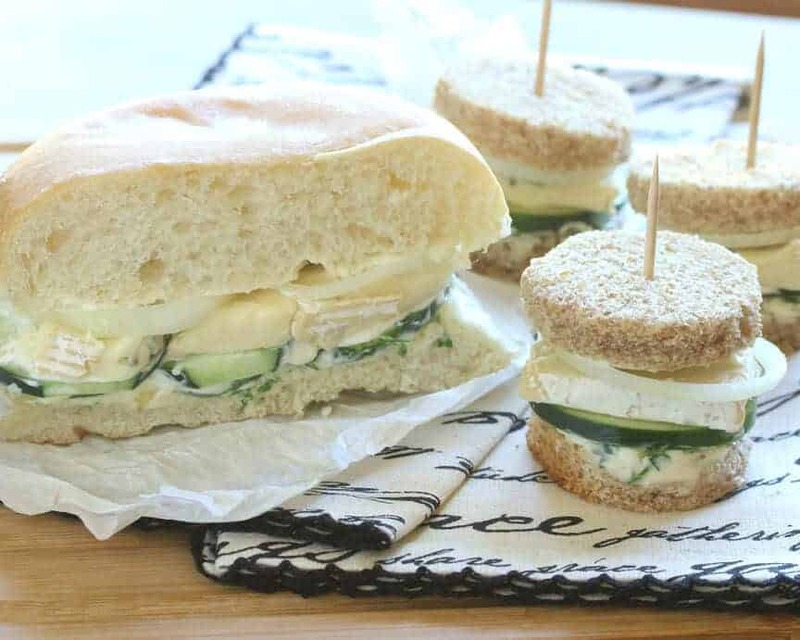 These sandwiches are darling and dainty! And King’s Lynn looks like my kind of town!! I’m jealous of all the adventures that you got to experience during your time there. We spent six wonderful years in England, Megan. It was the best! Mmmm, I love everything about these sandwiches! 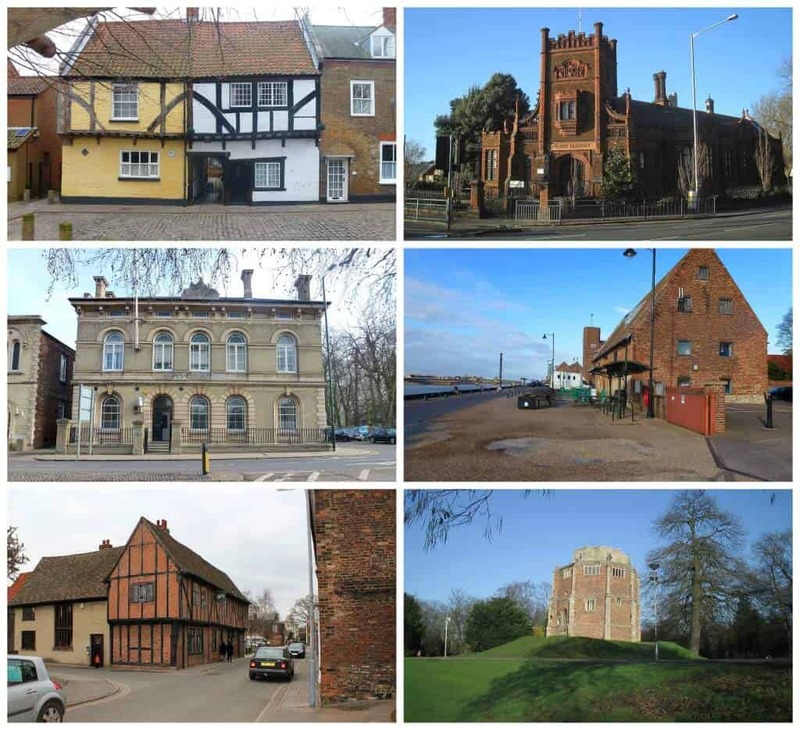 It’s no wonder you fell in love with these in King’s Lynn. Thanks for sharing the recipe! You bet, Kathy! 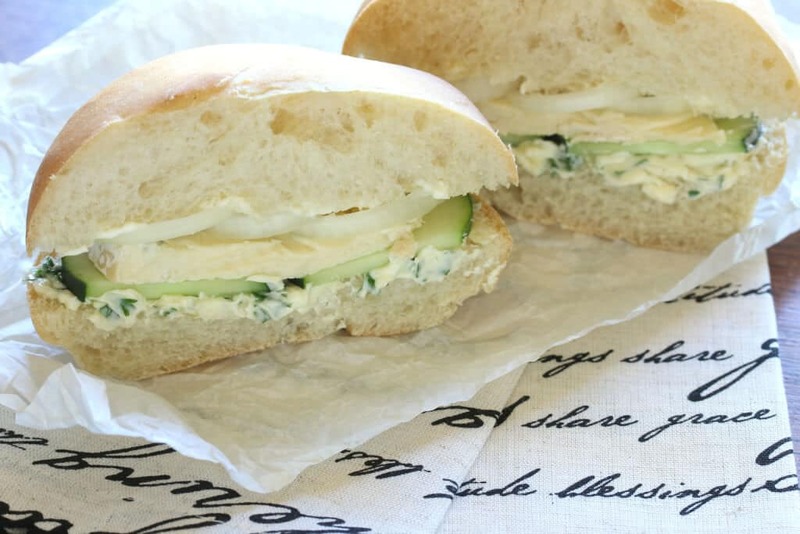 I figured it was high time I post this recipe considering how much I love these sandwiches. And lucky for me I came across this delicious blue-veined brie from Castello which is just perfect! Looks great! Have always enjoyed brie and am sure would like this combination – will be giving it a try. I’ve never seen blue-veined brie before and will keep my eyes open for Castello in the stores. Thanks also for the virtual tour. Nate, you’ll love it! 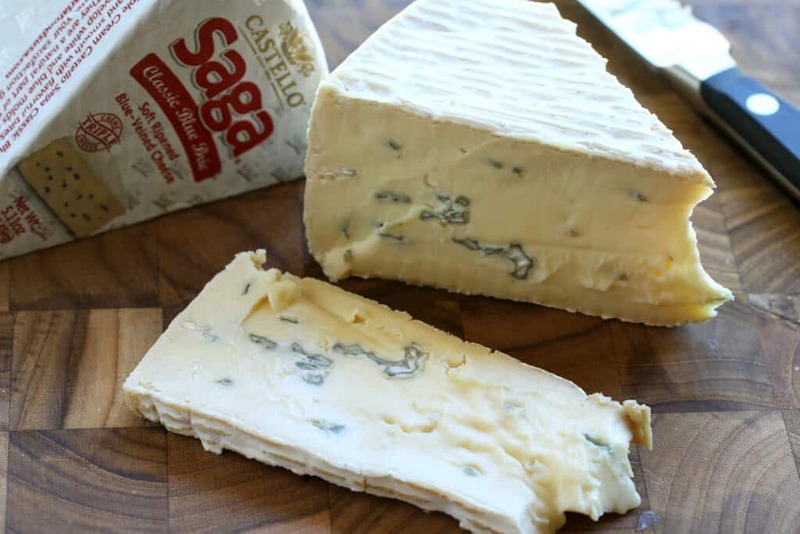 And yes, you absolutely must try Castello’s blue-veined brie, it is so delicious! That cheese, I die! Oh how I love that slice of cheese, just sheer perfection in a sandwich. Perfection. Your pictures make me miss Europe! Love following along, oh so nostalgic. Oh yes, I get homesick…a lot! Wow! This is my kind of sandwich! 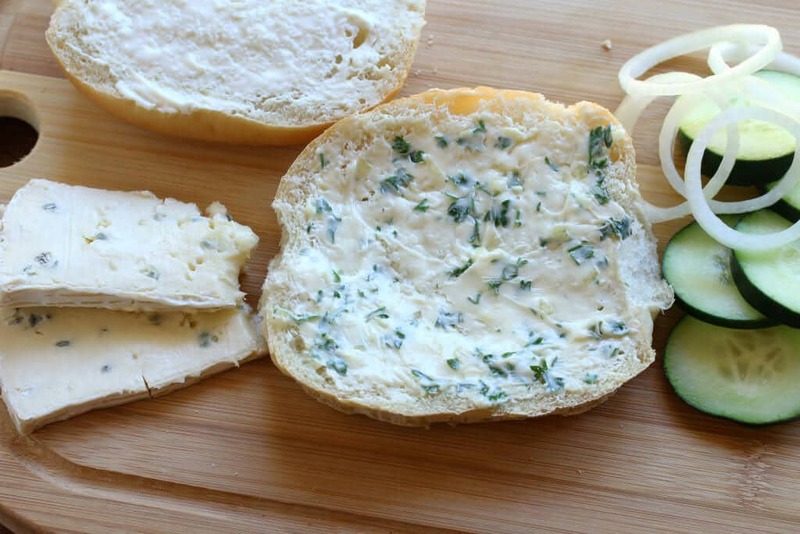 I love this creamy bleu cheese! It’s SO good, Cynthia! I have tried about 7 different Castello cheeses and they’re all amazing! I could just devour this cheese and ALL the ways. Looks soooo good. It’s soooo good, Brandon! I’m a huge brie and blue cheese fan and combining the two is just perfect! Where did you find those baps (buns)? I haven’t ones which look like that since I last visited England. I’m always on the hunt for good websites that stay true to authentic regional fare. Since I know British food, I tested your knowledge. Well done :) Thank you for the inspiration. I think I ruined my key board by key board my drooling on this page. And what an adorable little town. We went to Spain and the South France last September and this is giving me the itch to go back. Lol, Marisa! We were in Spain and southern France last June (even covered Lisbon). Such a great trip and we’re looking forward to going back as well.